We are incredibly proud to have helped The Te Whangai Trust. They are an amazing organisation. There’s a whole group of society that miss out on the opportunities many of us take for-granted. While many under-privileged members of our community can access various social programmes, there is a group that is disconnected from society and can’t access ‘regular’ support. These are people who find it the most challenging to enter the labour market. Te Whangai get them work-ready. For people fresh out of prison who are keen to get a second chance, on youth-aid from the police and courts or those that have fallen through the system, Te Whangai empowers them to break habits and change the inter-generational cycle, creating a better life for themselves and future generations. Te Whangai practically mentor those people and transition them into work through organisations that believe in second chance employment. Te Whangai grow people, and they do it by growing plants. 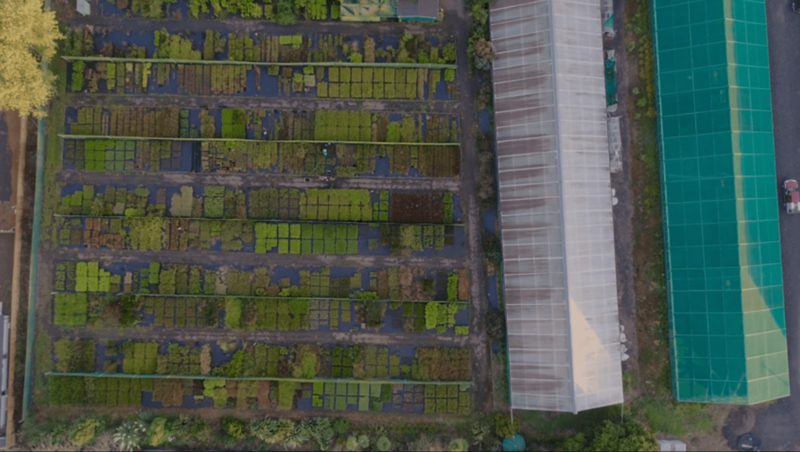 These plants go back into the community to create a better environment, and the trainees make a positive contribution to that will last generations – their by-product is environment enhancement! By giving people a meaningful job, and giving them an opportunity to contribute to society, Te Whangai overcomes despair with hope. By sharing their successes with their people, they create a sense of pride and ownership that gives quality of life and opens up possibilities. For many of their team, a regular work discipline is foreign, and the structures we take for-granted are something new. Te Whangai introduces them to a work regime and helps these most needy members of society to adapt, to learn, and to create a new future for themselves. They do this by growing native plants. Te Whangai plant and nurture eco-sourced seeds, growing them into seedlings for sale. Their customers require plants that are endemic to that area. So Te Whangai have to track each seed and each plant, as well as monitoring growth so they can keep track of stock. This presented significant challenges. Their outstanding success was causing Te Whangai to grow. Their numbers are impressive – with 5 grow-hubs spread over across the central North island of New Zealand, 90 species, 1,000,000 seeds, 600,000 units, that all needed traceability to GPS co-ordinates, and constant monitoring. One of the unique challenges of tracking plants unlike inert product (eg tee-shirts) is that the product constantly changes as the plants grow. Furthermore, Te Whangai wanted to be able to identify which people had been involved with which batches and plants, so they could instill a sense of pride and achievement in their teams. Almost unbelievably, this tracking was being done manually with paper, pen and individual notes in Word and Excel. Understandably, this “old school” approach wasn’t keeping up. It was manual and fraught with potential errors and information lag. Gary Dalton, Co-CEO of Te Whangai said “We were growing faster than our ability to properly record what was happening with our business”. The Kambium productivity team at Kinetics was introduced to Te Whangai by Microsoft NZ, to help them turn their automation aspirations into reality. Microsoft had exposed Te Whangai to the potential of Office 365 and Microsoft 365, but they were struggling to realise the value these products can bring. Kinetics started with our unique Best Practice Review methodology, allowing us to understand the organisation, its priorities and constraints. The Best Practice Review is a carefully structured process, built in Microsoft Azure. It takes a systematic approach to expose their needs, risks and potential, then creates a practical road map to address these. 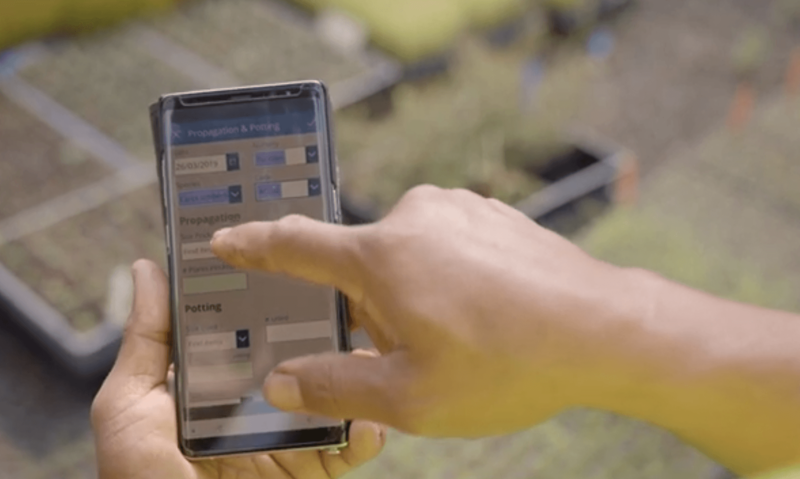 The Best Practice Review process reinforced the outcome of a Microsoft-sponsored Hackathon by identifying the need to build a pair of tools using Microsoft 365 PowerApps. 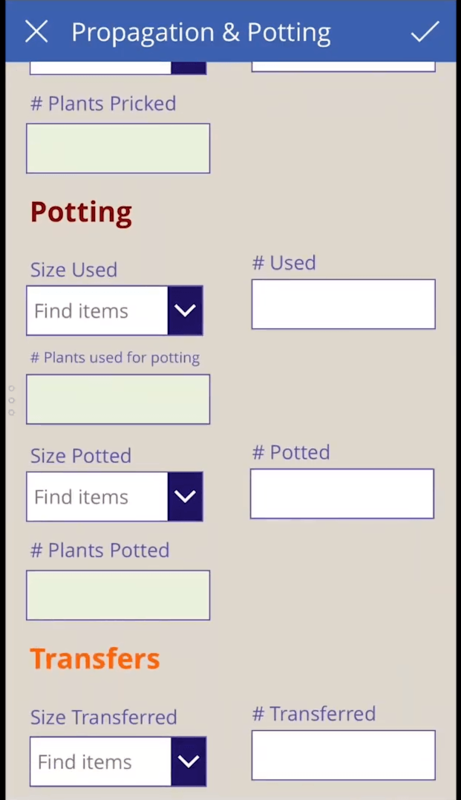 One would track the seeds and plants, monitor growth, report inventory and manage ‘plant growth’ data. The other would track people, where they came from, what they worked on and most importantly, their social, environmental and cultural growth and outcomes to track the very passion that drives the Te Whangai founders. “People are the most important thing to us. Once we had Kinetics on board, …. looking at the social, environment and cultural gains and growth – how our people are growing – was made so much clearer. What was just notes in longhand in Word and individual records is now structured and ordered. And with our plants, we know exactly where the seeds some from and how they are growing. All our people are able to easily record what they do and celebrate it. So we can clearly see how we are achieving both our critical goals – people growth, and growing our environment”. One significant barrier to Te Whangai’s growth was a very low literacy level within their people. Using a computer was a completely foreign concept. Kinetics/Kambium developed systems with the user in mind to help them become ‘digital citizens’ and bridge the gap to being productive members of society. We paid attention to developing systems that a user could work using one finger in one minute. To help with low literacy, we paid attention to details like font selection and size; vital steps to maintain the integrity of the data collected. We developed not only user skills but through coaching, gave them confidence in using new technology. Office 365 let us refine systems as user skills developed and provided a stable, reliable platform that inspired confidence and trust with users for whom a poor experience would have created barriers. One of the learnings from the Best Practice Review was to identify the need to protect data. The very nature of Te Whangai’s work meant they hold particularly sensitive information on people, creating an obligation on Te Whangai to protect it accordingly. Office 365 had all the capabilities, it just needed an IT partner to help apply the right locks. Gary Dalton said “Kinetics have been great by giving us security of our data. We know our data is safe. 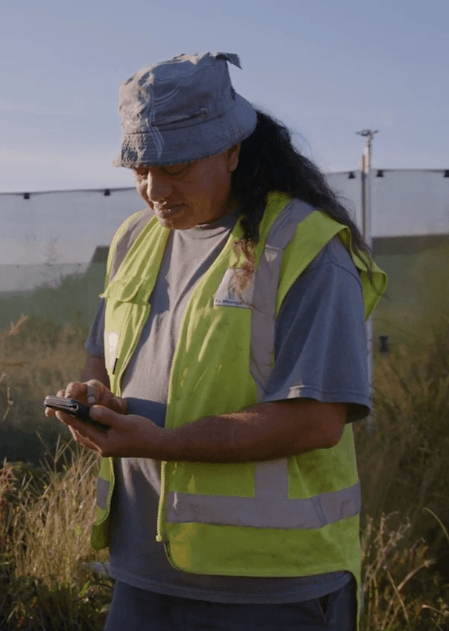 A real relief.” Te Whangai operate completely in the Microsoft 365 Cloud, using Kinetics KARE managed services to proactively support and manage endpoints and security. Their data is safe so they can concentrate instead on the things that will most make a difference for them. Now the organisation can grow and scale efficiently. The vision for the Trust is to achieve growth through partnering, which requires elastic systems that can scale dynamically and be replicated. All their nursery staff need to do is use the app. The data flows into management reporting in real time so that they can see what’s happening and can concentrate on what’s important to them – getting people back into the workforce. We are incredibly proud to have helped Te Whangai.